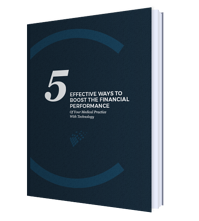 Download our guide and learn how technology can impact your bottom line. How to eliminate hardware installation and reduce maintenance costs for your practice management platform. The easiest way to take your practice with you anywhere, any time to improve efficiencies within your clinics. An often overlooked way to empower your patients and give them an active role in their healthcare. How to refine your work processes and cut down on administrative duties so your clinics can run efficiently with minimal human error. The quickest way to better reporting, enabling transparency over your financial position and revenue forecasting. To download your free copy, fill out the form and we’ll send it straight to your inbox. After you fill out the form, we'll immediately send the guide to your inbox.